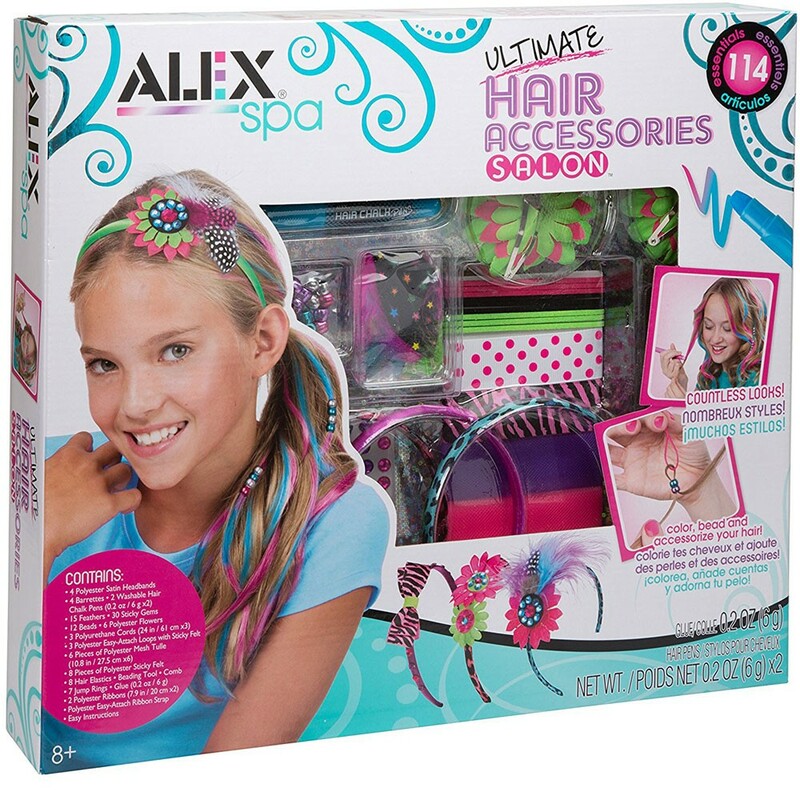 Throw a glamorous hair salon party for your friends or just for yourself with this Ultimate Hair Accessories Salon kit for girls. 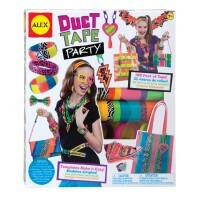 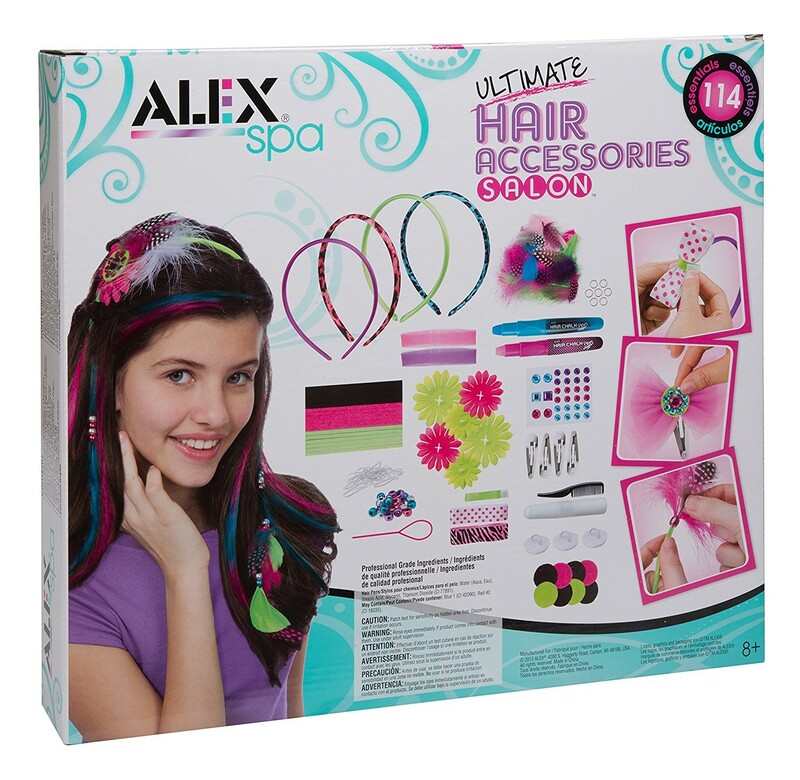 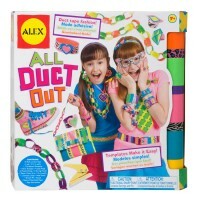 Become the hair fashion designer with this deluxe craft kit by Alex Toys! 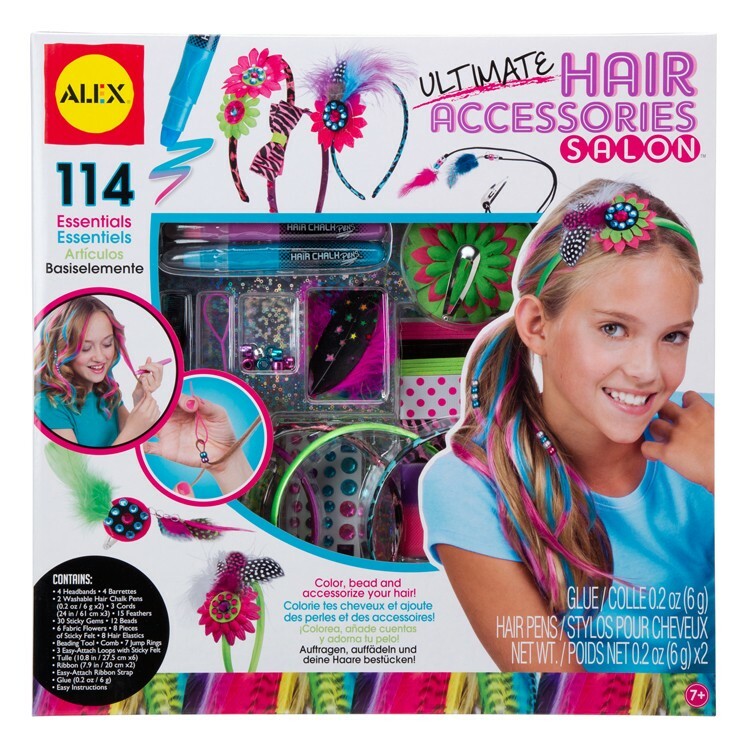 Ultimate Hair Accessories Salon Deluxe Craft Kit for Girls allows young fashionista to color, bead and accessorize their own hair or friend's locks! 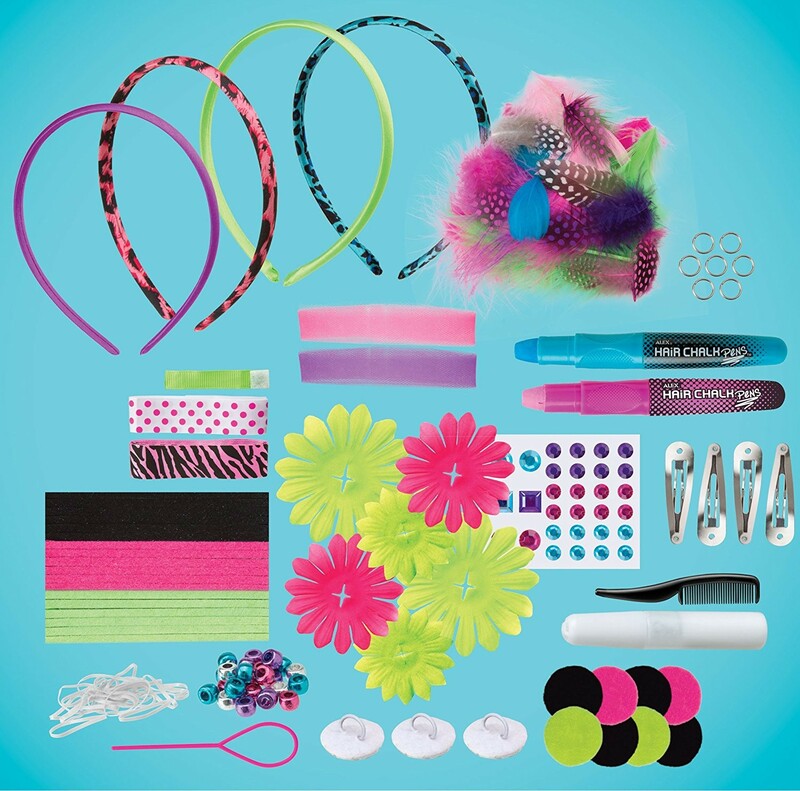 This girls fashion craft contains 4 headbands, 4 hair clips, 2 hair chalk pens, 3 cords, 15 feathers, 30 sticky jewels, 12 beads, 6 fabric flowers, sticky felt, glue, and simple instructions. 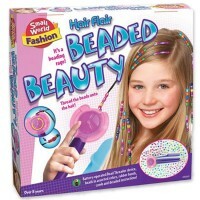 This hair fashion kit from Educational Toys Planet lets girls to make 8 one-of-a-kind headbands and beautiful hair clips, add fashionable streaks of color with the hair chalk, and become a hair style designer! The hair chalk from the Ultimate Hair Accessories Salon Deluxe Craft Kit for Girls brings temporary coloring, and easily washes out. 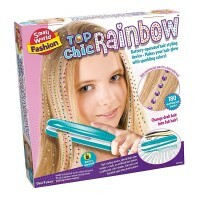 Design, craft, and have a creative time any rainy day or at your next girls slumber party with this hair fashion craft kit! 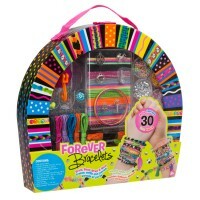 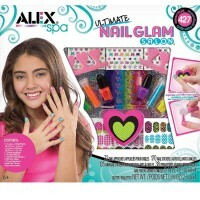 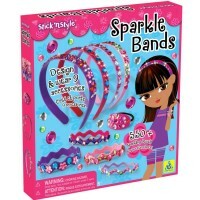 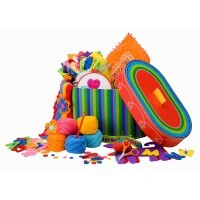 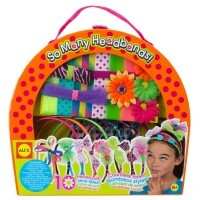 Write your own review of Ultimate Hair Accessories Salon Deluxe Craft Kit for Girls.